The Ninth Circuit concluded that U.S. Customs can impose a civil penalty on importers who import merchandise bearing a counterfeit mark of a registered trademark even though the owner of the registered mark does not manufacture or sell the same type of merchandise imported. See United States v. Able Time, Inc., Case No. 06-56033 (9th Cir. September 25, 2008). On May 7, 1999, Able Time, Inc. (“Able Time”) imported a shipment of watches into the United States that bore the Tommy Hilfiger registered trademark “Tommy”. At the time, Tommy Hilfiger had a registered trademark for the mark TOMMY for cosmetic goods such as cologne, after-shave and deodrants (in International Class 3). Even though Tommy Hilfiger did not make or sell watches at the time (a class of goods in International Class 14), the watches were seized by the Bureau of Customs and Border Protection (“Customs”) pursuant to 19 U.S.C. § 1526(e) (which allows Customs to seize merchandise bearing a “counterfeit mark”). Tommy Hilfiger later applied to register the mark TOMMY for watches in class 14 on November 30, 1999, and received its registration on September 17, 2002. Meanwhile, Customs filed in rem forfeiture action against the watches on November 3, 2000, but the action became mired in appeals and defective service of process such that the government was ultimately unable to pursue the forfeiture lawsuit because the statute of limitations had run and the watches were returned to Able Time on April 8, 2005. In February and March 2004, Customs also issued several notices to Able Time of the imposition of a civil penalty on Able Time pursuant to 19 U.S.C. § 1526(f) which allows for the imposition of a penalty against any person who imports merchandise seized under § 1526(e). Customs filed the current lawsuit at issue over the civil penalty on April 15, 2004. The district court ultimately granted Able Time’s motion for summary judgment after concluding as a matter of law that the imported watches could not be “counterfeit” under the Tariff Act because Tommy Hilfiger did not make watches at the time of the seizure. We conclude that the Tariff Act does not contain an identity of goods or services requirement. We hold that Customs may impose a civil penalty pursuant to 19 U.S.C. § 1526(f) upon an importer of merchandise bearing a counterfeit mark, even though the owner of the registered mark does not manufacture or sell the same type of merchandise. While there is a lot of discussion from the Court addressing other trademark statutes and the legislative history therof in addressing each of Able Time’s valiant (but ultimately doomed) arguments that the Tariff Act does require identity of goods or services, at the end of the day the Court found that the plain language of the statute does not contain an identity of goods or services requirement, and because the language of the statute is unambiguous, one should not be read into the statute. 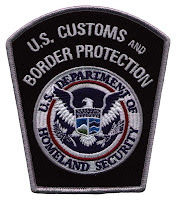 Just a friendly reminder to all registered trademark owners holding a trademark registered on the Principal Register which brands goods which are susceptible to counterfeits being made overseas and imported into the U.S. – you can electronically record your registered trademark with U.S. Customs and Border Protection through CBP’s Intellectual Property Rights e-Recordation (IPRR) application. Recordation allows CBP officers monitoring imported goods to prevent the importation of goods bearing a counterfeit infringing mark.